There's just something about the glow of candles (even fake ones!) on a hot summer evening. Whether it's on the table you keep on your patio or hanging from little hooks in your garden, everything feels more inviting with a little glow. 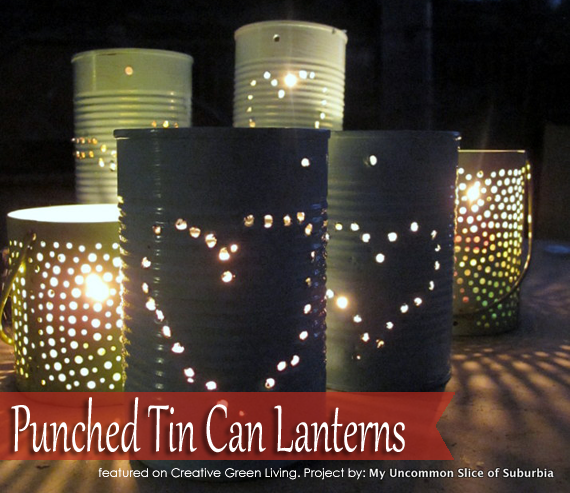 This easy tutorial shows you how to transform old tin cans into pretty lanterns in just a few minutes!